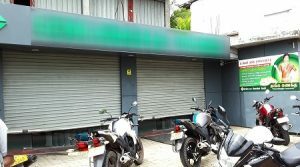 Jaffna News: Jaffna A sum of over 18 lacs has been looted at a private financial institution in Chavakachcheri, A9 Main Road. The incident took place at 8.30 am today, police said. An amount of 1,891,021 rupees was stolen at the knife. Today morning, an open-ended financial institution has taken the money deposit in the bank to deposit money into the bank. The thief who entered the knife threatened the robbers and robbed the money.